James Can Fix It! 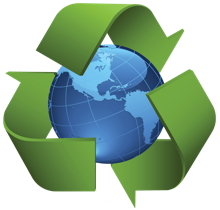 understands principles of Reduce, Reuse and Recycle and makes every effort to use environmentally friendly products and to recycle old products and materials. A portion of our team's proceeds goes back into the community through helping individuals and families who cannot afford to pay for basic repairs for their homes. If you know someone in need, please contact James for more information about how together we can help meet some of those needs.